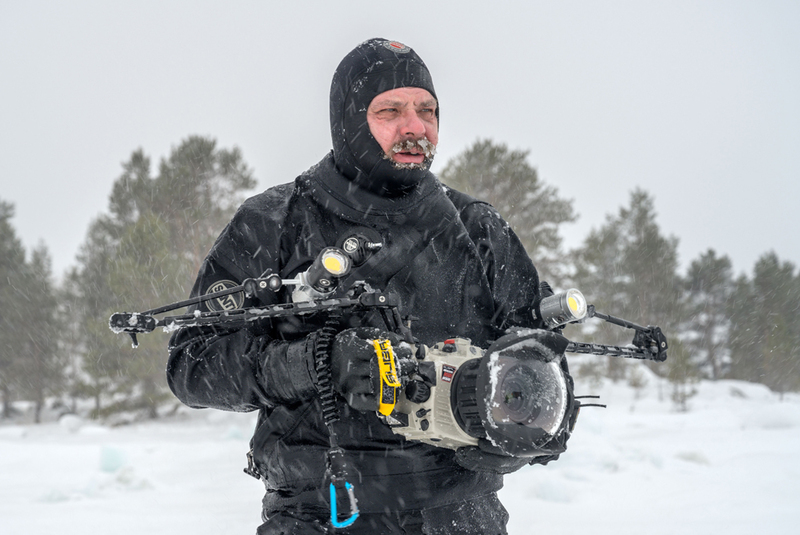 Viktor Lyagushkin, a dive photographer, has created the world's first under-ice art exhibition. 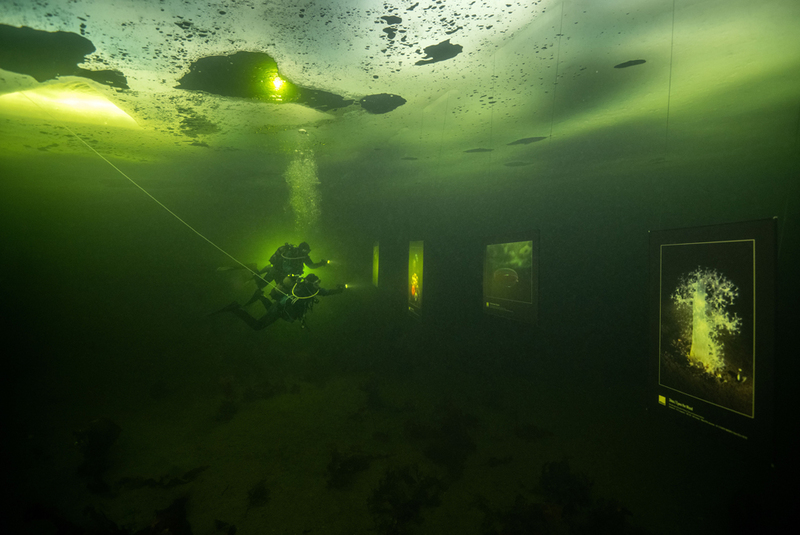 The underwater art museum looks surreal as the lit photographs float in the dark green water. 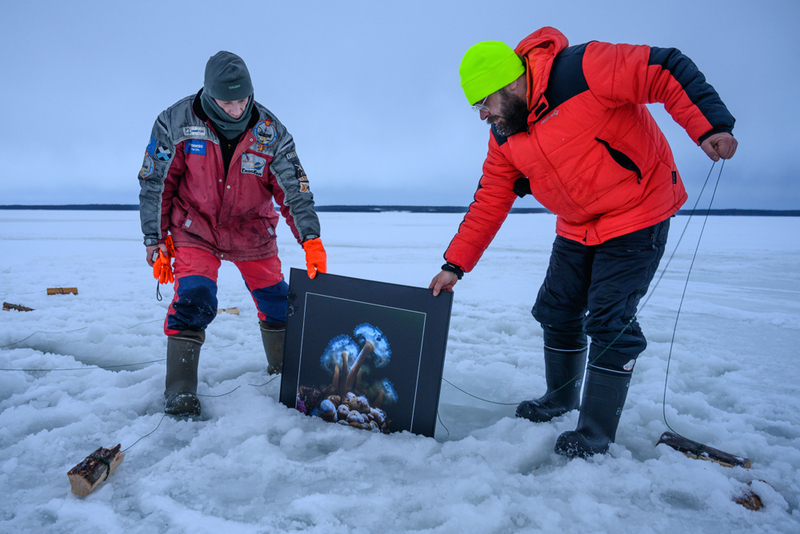 The collection feature a series of alien-like fish which were under the ice in the White Sea in northern Russia. 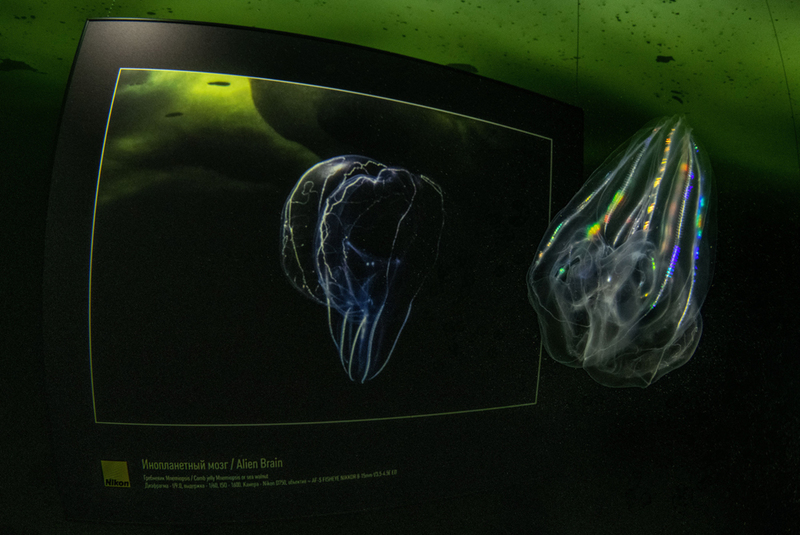 In one shot, one unusual fish - a ctenophore - can be seen swimming in front of a photograph of the same species, almost like it’s observing its own reflection. 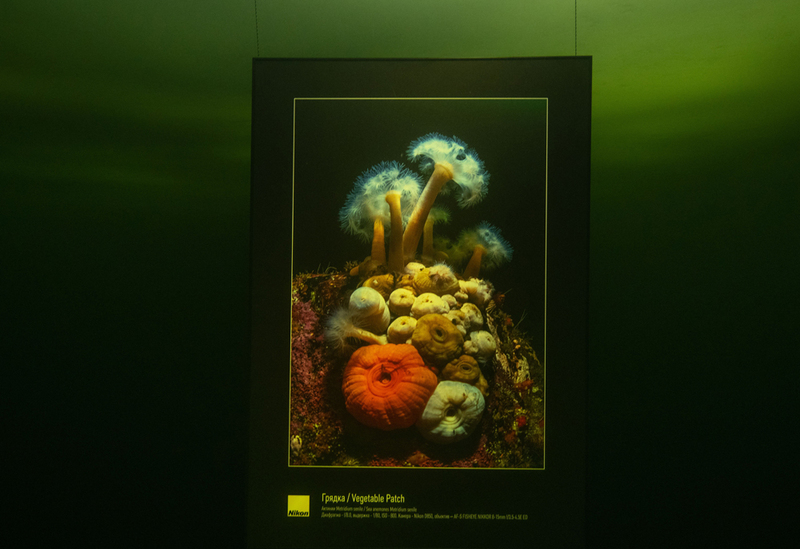 The process might look easy but it actually took a significant amount of time and research. 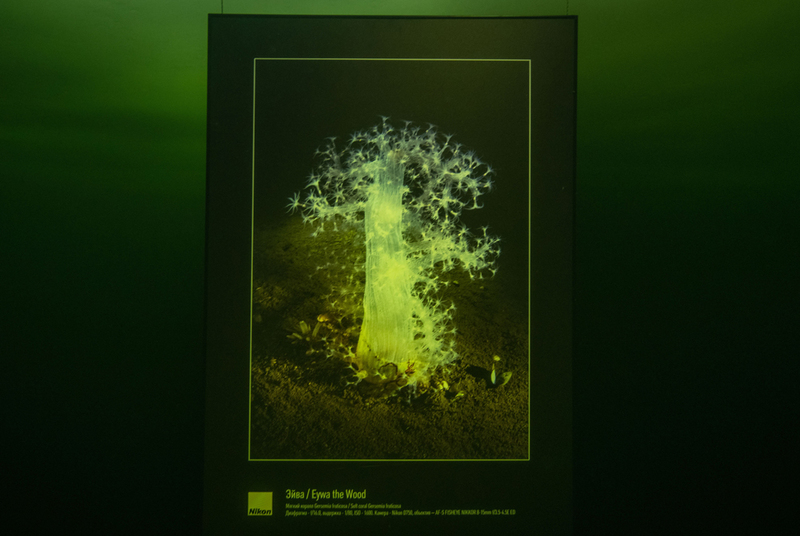 Lyagushkin talked about the process in which he had to test various materials for resistance to salt water for six months to ensure the display would not spoil underwater. 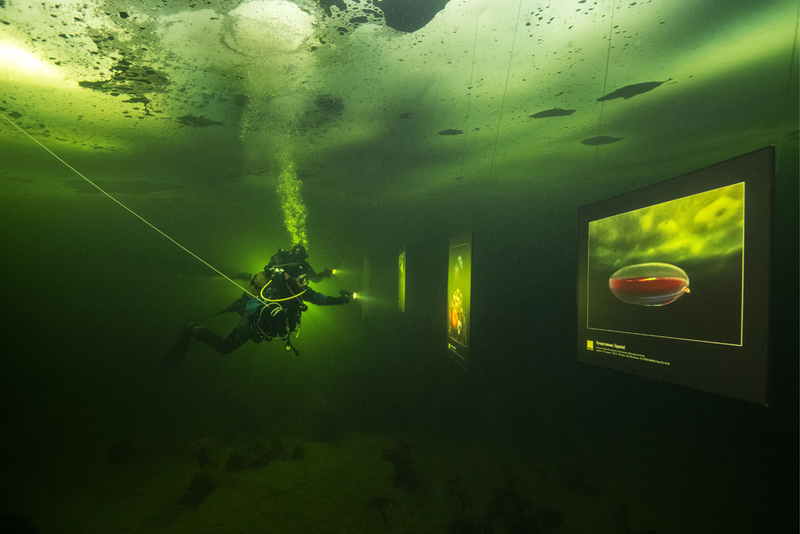 Divers from around the world visiting the Arctic Circle have seen his ongoing exhibition. 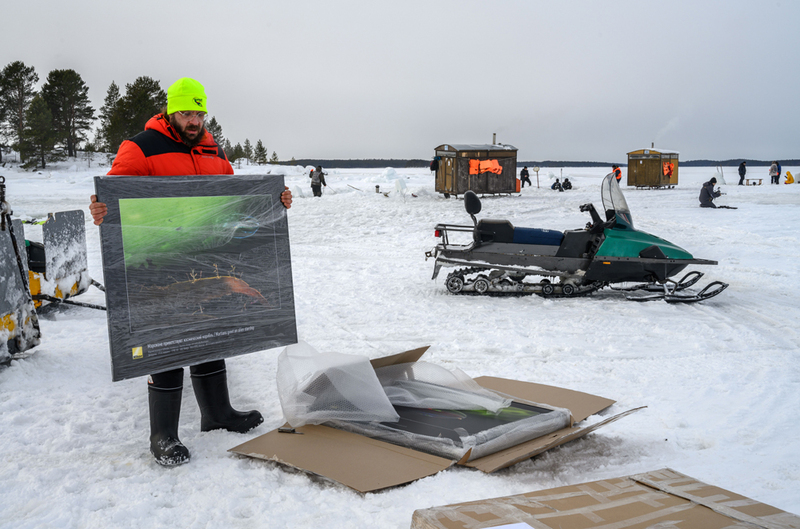 But not only for the sake that it is the first under-ice one of its kind, but also in hopes of drawing attention to the climate change.